2016 saw the rise of the mermaid. And the unicorn. I think it's safe to say it's every girl's childhood dream to be Miss Universe and to be a mermaid. And I think the universe somehow transpired in 2016 to make the mermaid dream a reality. The Miss Universe one, well, is harder because there are only 65 of them to date. As for mermaids, I think there are more because of all the mermaid themed merchandise. Everything related to seashells, hologram, and big hair seemed to make waves last year (no pun intended). Althea decided it'd do a fresh take on the whole mermaid theme. 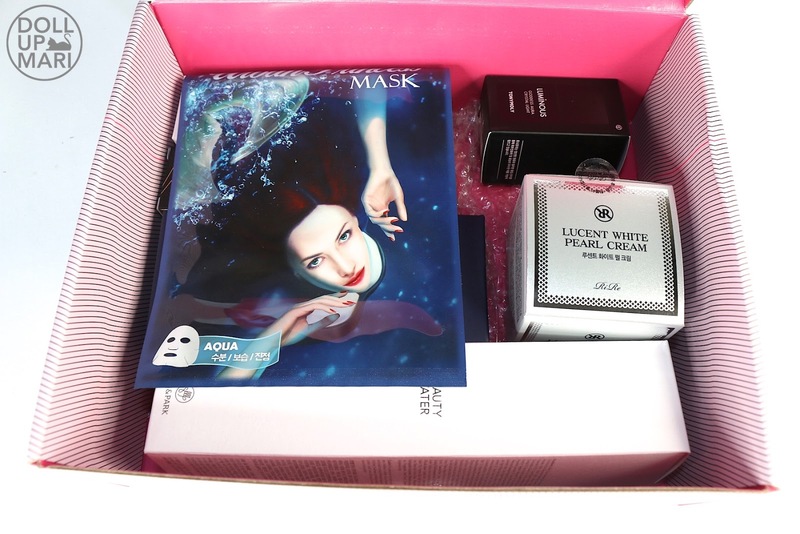 When this box came, I wondered why there's nothing that's traditionally mermaid themed. No hologram eyeshadows or nail polish. No shell themed nail stickers. None of the crazy rainbow makeup brushes we loved in 2016. Nope. Nada. But I think they were on to something with this curated box. They instead wanted to create an experience to let every single recipient live out a mermaid's life with glowing skin and beautiful hair. So this box is veeery biiiig. If you've been ordering from Althea you'd know they have a small box and a big box. This box is bigger than the big box, like an XXL box. Yeahp this is the plain view of everything. I know it's not a breathtaking view especially if one is thinking of rainbow and hologram themed everything. But the moment you observe and examine each item you get more and more excited given that they threw in a lot of K-Beauty's best dark horse skincare products. 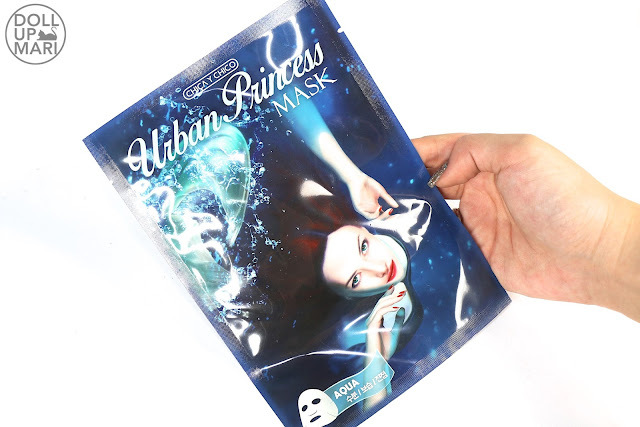 So yaaay here's another Chica Y Chico Urban Princess Mask in the mermaid variant!!! I am sooo sorry I haven't tried the one from the other box yet. This one doesn't seem to be in our Althea right now, though I think it was there before? This is an item that is making me sooo curious to use!!! 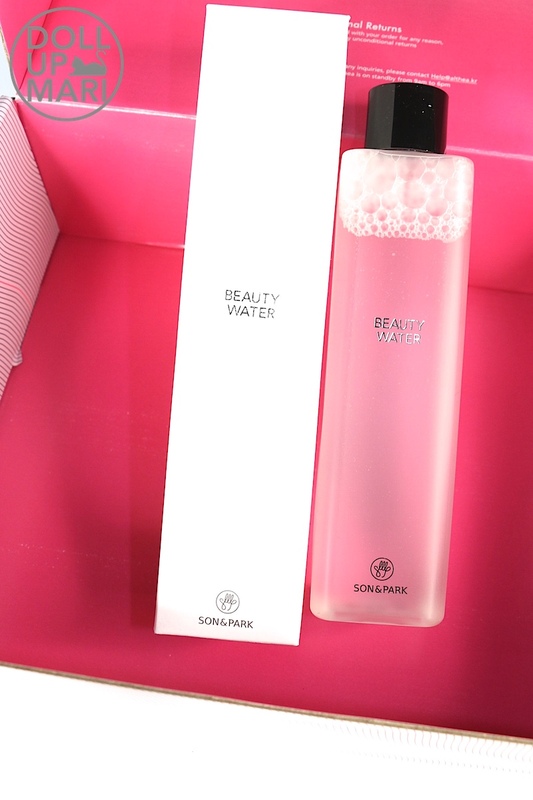 this is Son and Park's Beauty Water, and thus far, rumor has it that this works similarly to SK-II despite having no galactomyces or other rice based ferment filtrate AFAIK. The packaging may be so plain but the hype around this product is crazy. I see this everywhere. I am so excited to try this so I can also have my own verdict over this. I know I have similar taste with the curators of Althea's boxes because I also already own my own jar of Rire's Lucent White Pearl Cream. I bought one jar when it newly debuted on the site (yeah shocking news of 2017 I do buy products I like from retailers I like and I am not that easy to bribe OMG are you guys shocked #sarcasm). This is thus far the latest craze in K-Beauty as I saw plenty of milk tea pearl sorts of dispensing for plenty of products. The brands just differ in gimmicks in what to call the spheres or what nutrients to infuse in them. 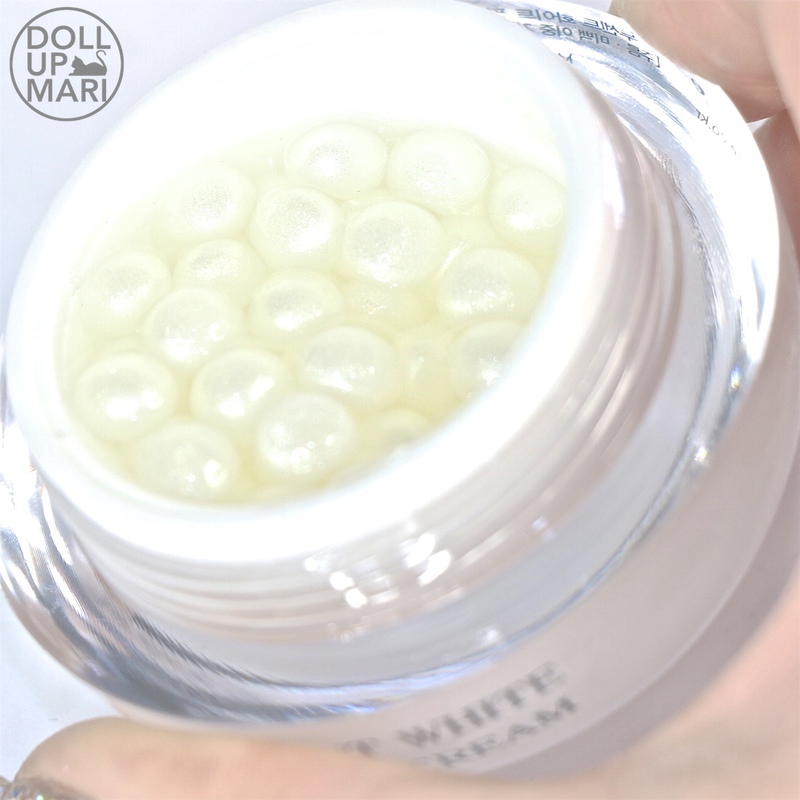 So yeah this product is a soup of pearl shaped orbs for the skin. 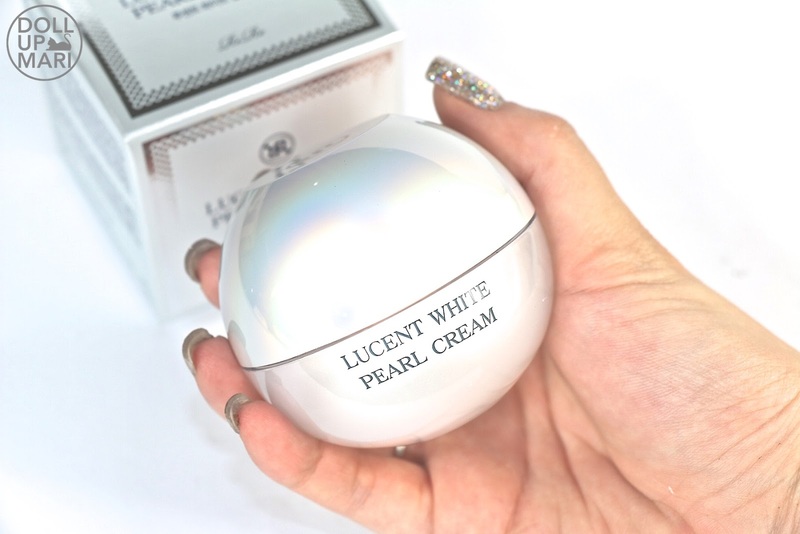 I feel that it's aptly priced at Php520 because the pearls occupy space in such a way that like there is actually less product in the jar than if it were just basic cream or gel. There are empty spaces between each pearl and I am not sure as to whether the soup is actually skincare or just a maintaining fluid that's why. BTW 1 pearl is too small to fit one's head and neck, so expect to use 2 pearls per usage not unless you want to have mermaid glowing skin and a wrinkled neck in your 70's... The pearls are also quite tricky to hold because of how slippery they are, hence the included spatula, though thankfully this just squishes. This doesn't spew out liquid like what one might be thinking with popping boba. In my few weeks using this, despite my clumsiness (in always dropping the pearls and having to pick them up then clean them hahaha), this is a product that's so wonderful. It's super lightweight but you can tell the next day that you're glowing. You can also use this even during the day because it's so lightweight. You will often forget that you've already applied this till you get wafts of its fragrance (which is my other super favorite aspect to this product). 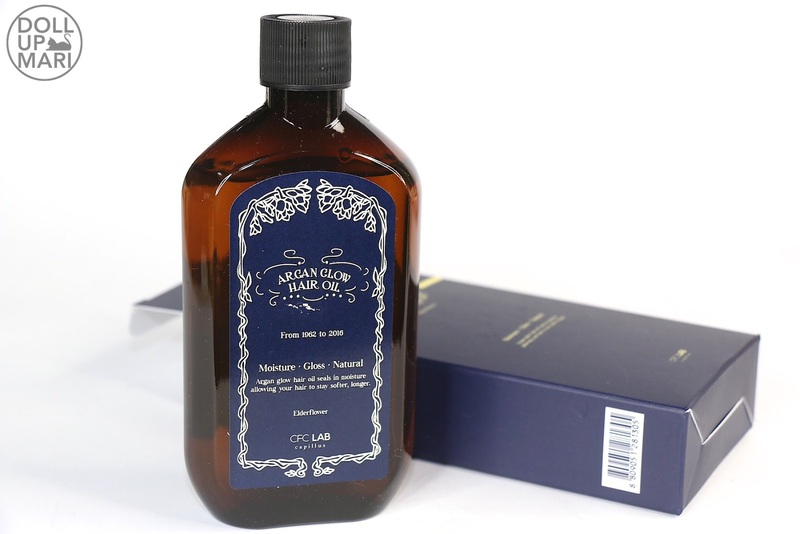 For the hair, they decided to throw in CFC Lab's Argan Glow Hair Oil! I am in the testing phase of using this on my bleached hair, but so far what pleases me is that it comes with a pump. I own MoroccanOil and while I love it so much, it's so cumbersome to dispense because it doesn't have a pump or plastic stopper to make sure only drops come out. I like the effort that this company took over the packaging. Though I wish they paid attention to the fragrance... All my other hair oils have very strong, distinct, luxurious fragrances. This has a light citrus fragrance, and I feel like they could have made it smell like a good blend of flowers and woods to remind the user that it's argan oil. 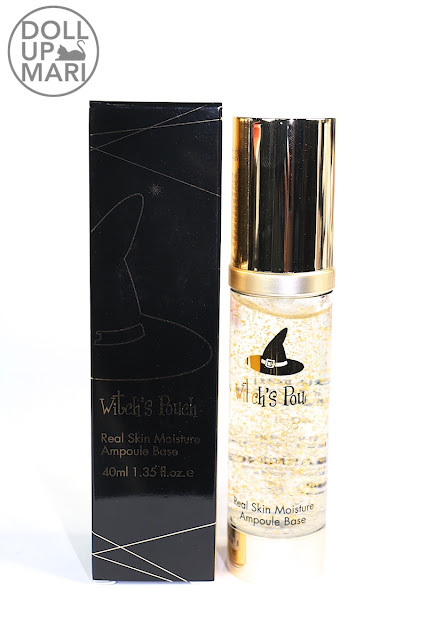 Yet another dreamy product is Witch's Pouch Real Skin Moisture Ampoule Base! This is crazy coz it has real gold in it! This promises to make makeup cake less when used as a makeup base and to correct tiredness and dullness on the skin. 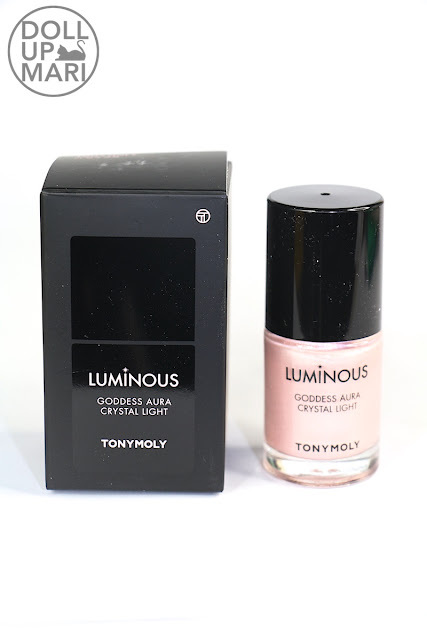 This is the most luxurious makeup primer I have ever seen at this price point! 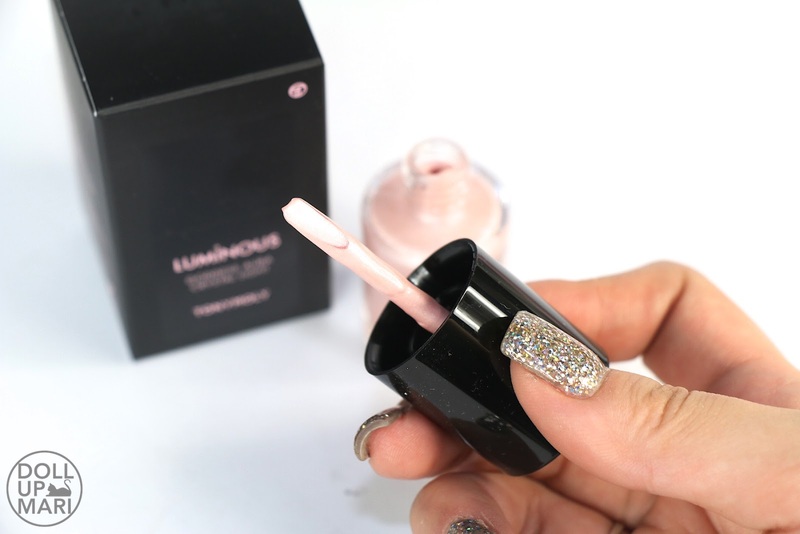 This is a dupe for Guerlain's L'Or makeup primer, but this is at 1/4 the price. I don't own the Guerlain version and I have yet to take this on a road test, but so far all I can really say is that it's so luxurious. That and that this reaaally smells primer like and makes the skin skid-dy. I don't know how to correctly describe it but to me the sign of a good primer is when it makes the skin less slippery because it in turn will make the makeup slip off less. This comes in a nail polish bottle with this stick like applicator. Gahhh I swear if you ask mermaids they'd say 10/10 would recommend this product because it's got a lovely rose fragrance. Y'all know how much I love anything rose scented so this got me too excited. The best thing about this? 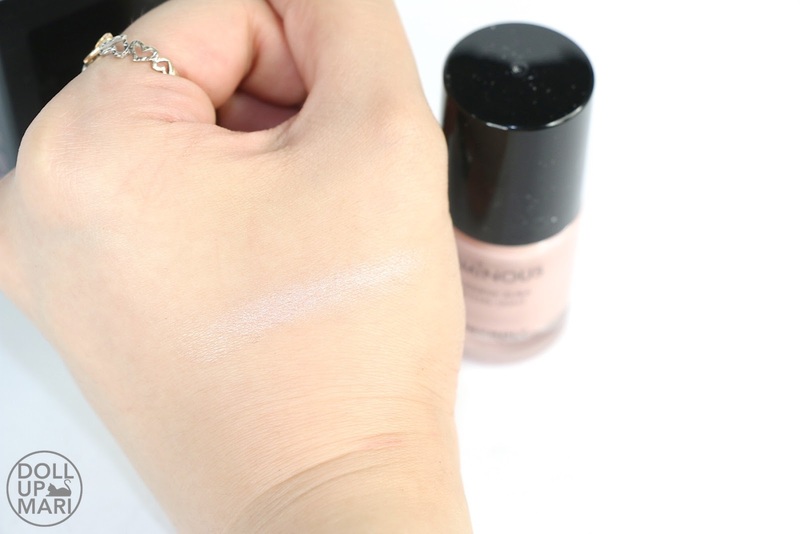 This is the perfect way to get onto the strobing trend without overdoing it. I know Western based makeup trends prefer the over the top kind of highlighters, but I'm also aware that there are people who do not want to garner unsolicited attention. There are also those who just want to have a slight glow and not look like a lightbulb. There are also the people who want to have smooth, un chunky highlight. This is the perfect product for you if you're one of the kinds of people I named. This is a smooth emulsion that doesn't cake up and doesn't disturb makeup which may already be on the face. This gives just the right amount of pearlescent glow without being too over the top. This is also making me so excited because this is my first pink based highlighter. I have white based ones and beige based ones, but so far this is the first pink based one. I consider myself very late in the strobing trend because I've always wanted a more matte look like Kate Middleton. For blogging I recently discovered how much I like strobing because contouring makes my face look firty at times. The actual product is hologram colored!!! It's even prettier in real life. Skincare is so interesting with this product because of the pretty pearlescent sheen to this. I loove aplying this because it makes me feel like a real life mermaid with how the product looks. But to those who may be worried, the shimmer-pearl thing going on is just a gimmick and won't transfer to skin; this is really a skincare product. It smells suuuuper good, too, with a light musk floral fragrance. I am so enamored with this because the fragrance is very very good. It's also lightweight!